In the 70's, I joined the throng of teen-aged girls curly-headed girls who slept (?) 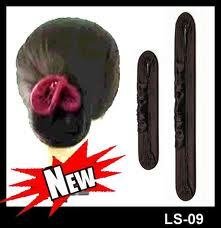 in hard, pink plastic hair rollers. Brutal as that may sound, the kicker was that the rollers were filled with hard bristles (of the bottle washing variety) and if that wasn't enough pain inflicted, the manufacturers promoted even more torture by including little pink barbaric plastic picks to be mercilessly stuck through the rollers and into our tender scalps to secure the aforementioned rollers.. 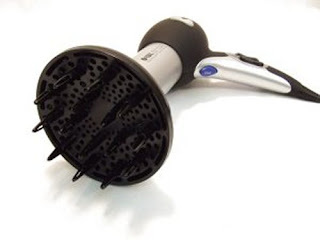 This was also the decade for rolling wet hair in used frozen orange juice cans, then covering our heads with a plastic bonnet attached to a hair dryer hose. 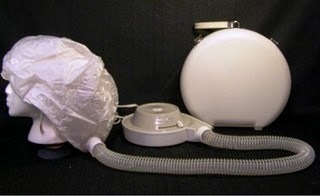 The snag was that many of us would fall asleep with this device turned on the "Hi Heat" setting, placing us at serious risk for sustaining scalp and ear burns. I understand that hot metal cans can do that to you. . In the 80's I briefly "embraced my curls". Hanging my wet head upside down, between my knees while I painstakingly dried my hair with a "diffuser" all the while scrunching my curls in my fingers proved time-consuming.. Following the application of various curling mousses, lotions, balms and leave-in conditioners my "care-free" hair routine really wasn't so "care-free" after all.. I gave up in the 90's and resorted to a little gadget called "The Hairdini". It was a foam covered wire that I could twist into my hair, pulling it back into a tight knot. This invention was followed up by "The Teeny Hairdini" for even smaller hair buns. I was stylin'. It's only now that my dream of soft, silky straight hair has finally come true by way of the newest "Brazilian Blowout". Earlier versions contained high amounts of formaldehyde and reportedly toxic but I was informed that this current one safe and formaldehyde free. 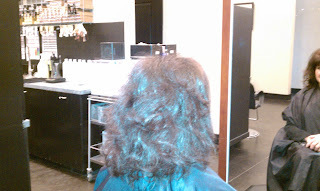 So far, it's been 24 days since I had it done My hair has not frizzed up in humidity, I have not had to straight-iron it. I just blow dry it and go! "They" say the effects last for 10 weeks. I'll keep you posted. 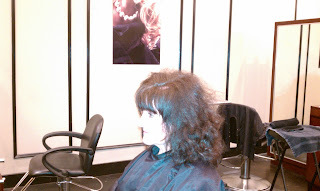 Check out my "Before" and "After" pics! 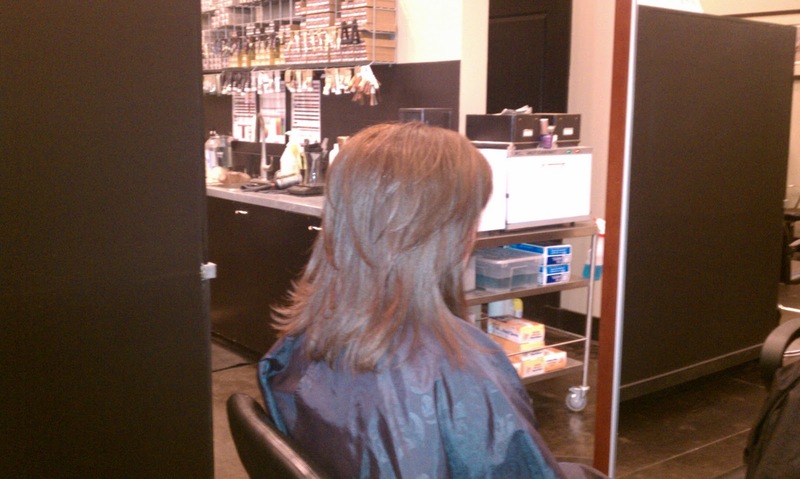 It's been two years since I first experienced the Brazilian Blowout. I can't tell you how happy I have been shelling out the $$$ every 3 months for the freedom I get from not having to deal with my hair. In Dallas, a Brazilian Blowout runs about $200 but most 'Groupons' offer the same treatment for $100. 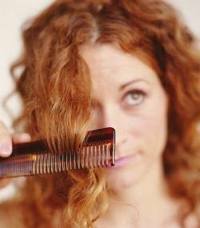 Many stylists will offer the "Groupon" price if you book your next appointment in advance. That means I spend about $50/month on my hair annually - factoring in cuts, color, etc. Believe me when I say that it is totally worth it.